If you have a friend or relative with a passion for Africa travel, consider using that passion as the inspiration for your next birthday or Christmas gift. Options range from items that will come in handy on their next visit to the Mother Continent to presents that will evoke memories of their last trip and help to tide them over until their next Tanzanian safari or Ghanaian cultural tour. Sound is one of the quickest and easiest ways to transport yourself to a different place and time in your mind, and as such, it's no surprise that African music tops our list of gift ideas for Africaphiles. Check out the official charts for countries like South Africa and Nigeria for download ideas, or head to Africa music specialists like Sterns Music for the continent's best beats on CD and vinyl. 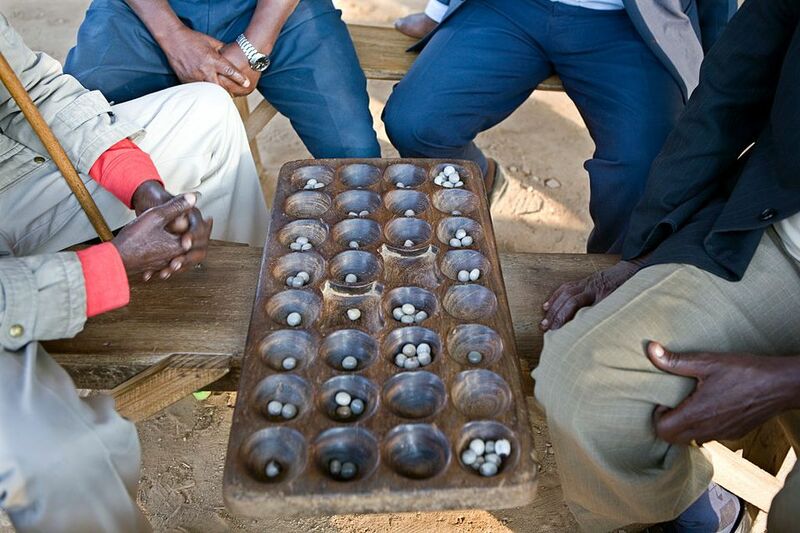 Traditional African board games are great fun for the whole family and are often beautifully made. Many of them (like Zamma, played in North Africa and Fanorona, popular in ​Madagascar) are strategy games whose origins date back thousands of years. Some games, like African favorite Mancala, are now available on Amazon. Others need to be bought in-country or replicated at home. Non-fiction reads like Nelson Mandela's Long Walk to Freedom or The Fear (Peter Godwin's book about the rule of Robert Mugabe) offer an illuminating insight into the continent's political struggles. Fictional works can be an emotional rollercoaster (like Half of a Yellow Sun, about the Biafran War), or charmingly funny, like Alexander McCall Smith's Ladies' Detective Agency series. DVDs are the ultimate stocking filler, and there are countless Africa-themed movies to choose from. Opt for romantic classics like Out of Africa or African Queen; or more modern scripts inspired by true events such as Blood Diamond and Hotel Rwanda. For something a little more light-hearted, turn to much-loved South African comedies (including anything featuring Leon Schuster). If your friend or family member is in the process of planning their first African adventure, consider buying a useful travel item for their trip. Practical ideas range from portable mosquito nets and Swiss Army knives to torches, water purification tablets, and first aid kits. Alternatively, you could buy them something to help remember their vacation such as a camera or travel diary. For a gift that keeps on giving, sign your friend up for an Africa travel magazine subscription. The best international magazine is undoubtedly Travel Africa, which publishes quarterly print and digital editions full of fascinating articles, travel inspiration and breathtaking photography. If your friend lives in South Africa, Getaway Magazine is another great option with 12 editions per year. Many Africa travel fans miss the flavors of the countries they've visited almost as much as the sights. You can win favor by surprising them with a packet of South African biltong, or a bag of fine Ethiopian coffee. The South African Food Shop delivers everything from boerewors to Mrs. Ball's Chutney to addresses all over the US, as does African Hut, which also specializes in Western Cape wines. For the tech-savvy African traveler, consider downloading a useful app. These range from generic travel apps such as XE Currency Converter or Weather Underground to specialist technologies that cater to your friend's particular interests. Keen birders, for example, will be more than grateful for the Roberts Southern African Birding app, while budding astronomers will love the Star Walk app. Of course, the best gift for any passionate Africa traveler is the gift of travel itself. Many travel agencies offer vouchers, allowing you to put money towards your friend's next trip. For example, UK-based agency Trailfinders allow you to purchase gift cards for up to £1,000 online, while student travel company STA Travel offer vouchers for specific items including the first night's accommodation or a group tour.